I'd have to say that my favorite times so far have all happened on my canyon joy-rides. 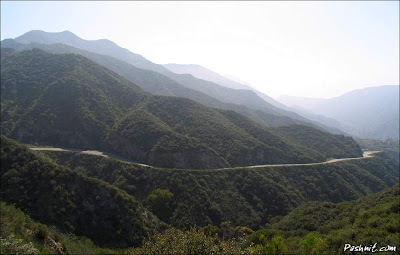 There's such a good feeling that accompanies winding around the twisting roads through the mountains and around the lakes, etc. 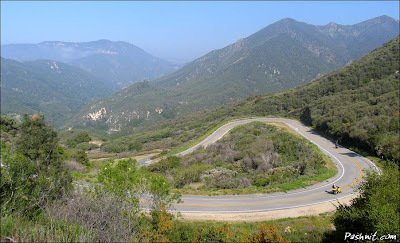 It is definitely giving me more appreciation for California, as these roads are plentiful, very well maintained, and usually uncrowded. Today I rode a new one (to me anyway). 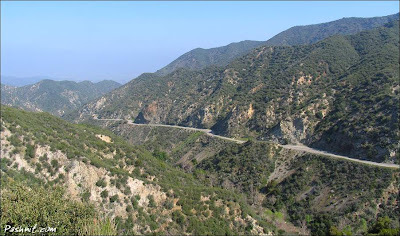 Little Tujunga Canyon Road was built in the 30's, and may be the perfect canyon road. 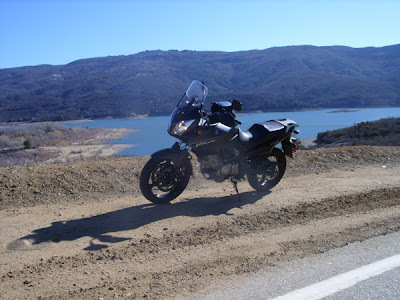 Clicking on the link will take you to pashnit.com's page on this paradise of a moto-ride. The author of the article said it best; "If God had a motorcycle, He'd be here." I believe it after riding this road today. Maybe by viewing the photos, you can imagine why. I don't know how I lucked out so well today, but I went several minutes at a time without seeing another soul on the road, in either direction. During my entire time on the canyon road, I maybe encountered a dozen vehicles. The road is almost 20 miles long. This canyon riding thing is becoming a true passion. 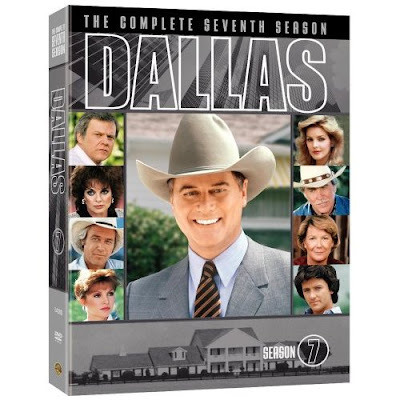 Dallas season 7 was finally released on DVD this past summer. 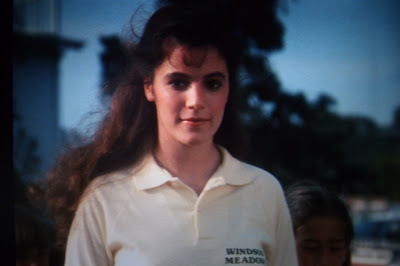 Chana played the character "Dee" (a girl interested in Christopher Atkins' character "Peter") for three episodes. Here's a video of the Dallas-based band I occasionally play with. We used to be known as 'The Calling', but that was 20 years ago, then we broke up. In the late 80's, we had a pretty decent following in the Texas and Oklahoma region. A year or so ago, we started playing together again, but the name 'The Calling' had been used by a flash-in-the-pan group a few years ago, so we couldn't use it again. The never-ending struggle to rename the band has plagued us for a year, so we just ignore people when they ask, and turn up the amps. One day, we'll agree on a new moniker. This is a song called "Time Passes", and I think it's not a bad rendition of it, considering what you're hearing is a dry feed from the mixing console. We had four cameras shooting that night, but they had no game-plan. It took a while to sort out the footage and come up with a good edit of the song. Oh, fyi, Micah (my oldest) ran lights for us that night, but unfortunately the available lighting he had to work with was a disaster. 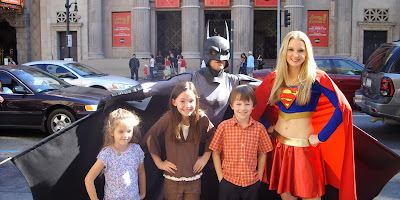 Wow, it's been a long time away from blogging, and if you're still coming by, thanks! A lot has been happening over the last 6 weeks or so, so let's get to it. I am now a motorcycle rider. I have been researching this world for several months now, and I finally took my Motorcycle Safety Course and got my license. A month ago I bought a bike. 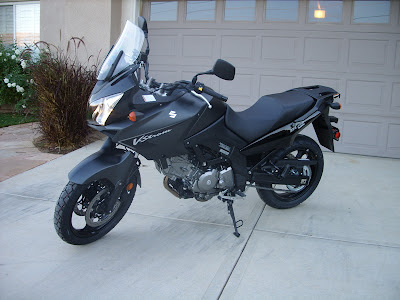 After much hemming and hawing, I went with the Suzuki DL650. 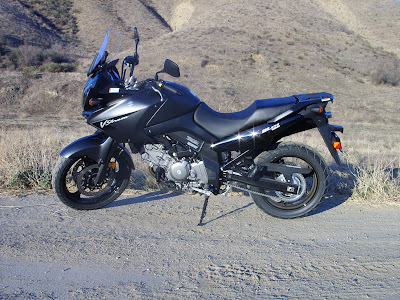 It's a great bike for commuting and can go on dirt roads too. 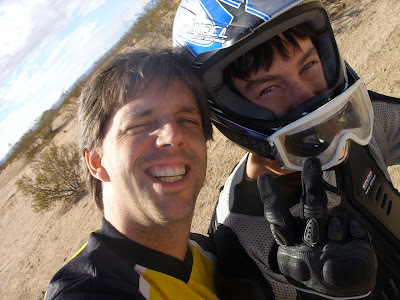 Speaking of biking, thanks to my friend Jason, I was able to take Micah out dirt biking for his 15th birthday. We were both smitten, and we've vowed to go back soon. 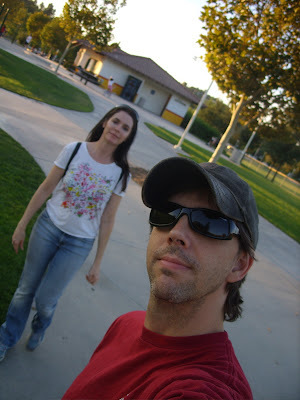 I took this at a nearby park we frequent. It might have to go on an album cover sometime. Or... not, but it's cool. 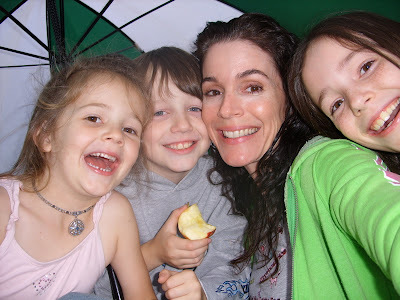 Oh, and it rained once. Weird. And last but definitely not least, Micah made this for his youth pastor Steve for Christmas. Micah has a couple snakes and a lizard. 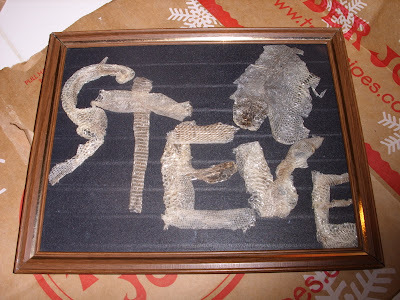 Steve has a problem with reptiles, so Micah gave him this thoughtful gift. Kinda creepy, but I also think it's brilliant.